Lost 1963 Recording Finally Released! Deluxe Edition Double LP! Includes Every Take From The Session! Pressed at QRP! 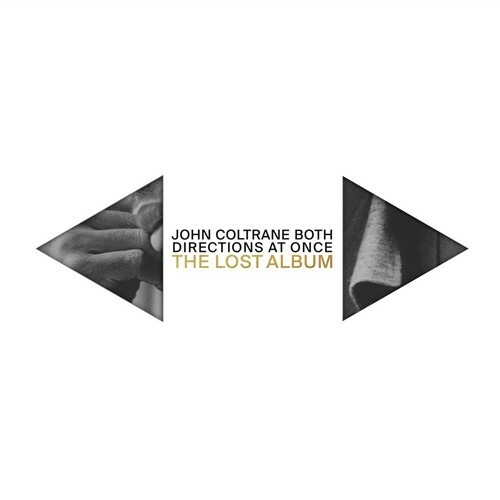 In 1963, John Coltrane recorded a studio album that has remained unknown and unheard until now. The album was recorded at Van Gelder Studios, the "Abbey Road" of Jazz, with Coltrane’s Classic Quartet and at the height of his career. The music on this album represents one of the most influential groups in music history performing in a musical style it had perfected and reaching in new, exploratory directions that would affect the trajectory of jazz from then on. In short, this is the holy grail of jazz. Unknown until 2004 and unheard until now, these recordings by the John Coltrane Quartet are, as Sonny Rollins says in the liner notes, "like finding a new room in the Great Pyramid." Featuring the Classic Quartet – John Coltrane, McCoy Tyner, Jimmy Garrison and Elvin Jones – and recorded at the end of a two-week run at Birdland, the music on this album represents one of the most influential groups in music history both performing in a musical style it had perfected. Includes 7 alternate takes of the tracks from the standard edition. "If you heard the John Coltrane Quartet live in the early-to-mid-1960s, you were at risk of having your entire understanding of performance rewired. This was a ground-shaking band, an almost physical being, bearing a promise that seemed to reach far beyond music. The quartet's relationship to the studio, however, was something different. In the years leading up to A Love Supreme, his explosive 1965 magnum opus, Coltrane produced eight albums for Impulse! Records featuring the members of his so-called classic quartet - the bassist Jimmy Garrison, the drummer Elvin Jones and the pianist McCoy Tyner - but only two of those, Coltrane and Crescent, were earnest studio efforts aimed at distilling the band's live ethic. But now that story needs a major footnote. On Friday, Impulse! will announce the June 29 release of 'Both Directions at Once: The Lost Album,' a full set of material recorded by the quartet on a single day in March 1963, then eventually stashed away and lost. The family of Coltrane's first wife, Juanita Naima Coltrane, recently discovered his personal copy of the recordings, which she had saved, and brought it to the label's attention. There are seven tunes on this collection, a well-hewed mix that clearly suggests Coltrane had his sights on creating a full album that day. From the sound of it, this would have been an important one." - The New York Times Read more!